Well organised and educational. We learned a lot about Singapore’s past from our guide whilst driving around in our very comfortable air conditioned bus. Saw things that we wouldn’t have done getting around by ourselves. Commentary by guide difficult to understand his English Malay accent ... could only pick up bits and pieces of what he was saying. A shame as he was knowledgeable. When i asked a small group of fellow travelers if they were experiencing the same problem they all agreed that they too were frustrated by the communication . Points of interest were definitely out of the ordinary... would appeal to anyone interested in war history especially. 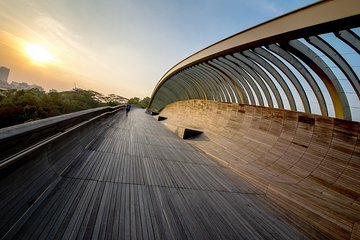 If your time in Singapore is limited don’t bother, there are many more interesting places of interest within the city limits. Excellent day out found out so many things about Singapore, the lunch at Beaulieu house was excellent and our guide Mr Foo was full of information. The coach and driver were very good. This give a good oversight of the island of Singapore, with a look at some of its history. A very full on and long day but a must do. Our guide was Foo Ah Chuan and he was awesome, so knowledgeable and passionate about his tour. We learnt a lot from him. We had lunch at Beaulieu House, lovely place, lovely food and gorgeous grounds. Would do this again. Well paced tour, comfy coach, nice lunch, great way to see all around Singapore. Your picked up at hotel and taken to the Heritage center where you meet up with the rest of people on tour and larger bus with tour guide. 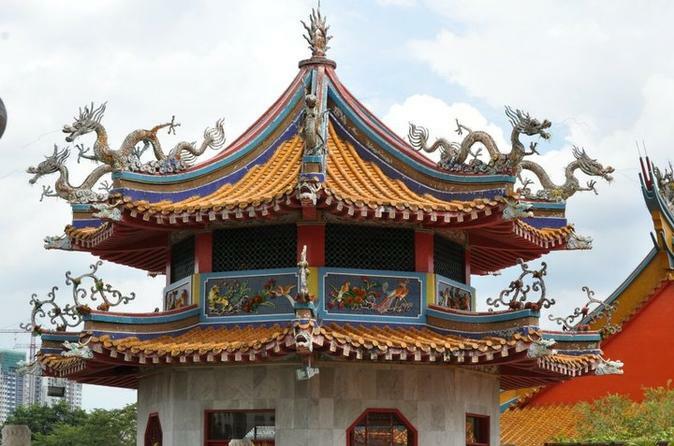 The guide was very knowledgeable about the history and culture of Singapore. If your a WW2 history buff you will appreciate this tour more. I was interested in the city and its culture. You will drive through most parts of the city. You also stop for a hour at the Telok Blangah Hill park where you can take a scenic stroll along the Henderson Waves path. You will also have about a hour to walk the grounds of the Par Haw Ville park. It was built by the family who invented the Tiger Balm ointments. The Kong Meng temple had a famous Bodhi tree that is from the same tree seedlings as the one that Siddhartha sat under. The lunch was nice and the restaurant was in a scenic park location. This was an average tour that offered a little less than expected. The war memorial was beautiful and a sad reminder of the cost of war. The temple was a beautiful image of religion without conflict or controversy around it. The Eurasian centre was one small hallway of photos and 2 rooms of aging displays. Found it difficult to see this as a display for a tour and to be the front of the display title. A good day but not a great day. The tour guide Foo was excellent -- he was 70 and had lived in Singapore his entire life. Very knowledgeable and friendly. A little difficult to understand at times due to heavy accent. This tour was well worth the time and money -- saw several things that are not included on other, shorter duration tours..